What do patients and healthcare professionals think of EHRs? 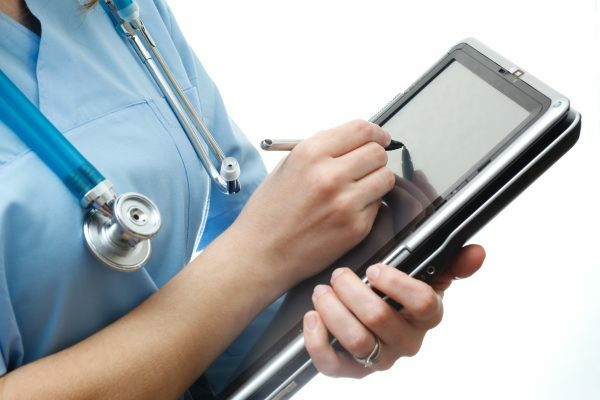 A new survey from SelectHub, a technology selection management company, examined the thoughts of medical professionals and patients regarding electronic health records. The team interviewed 1,007 Americans who have access to EHRs, as well as 107 healthcare professionals, including nurses, physician assistants, administrators, technicians and medical laboratory scientists. In an email, Chris Lewis, a creative partner of SelectHub, said the survey results were not limited to users of a certain EHR vendor or system. Apparently, healthcare workers and patients both have a fairly positive sentiment of EHRs — at least according to the survey. Among healthcare professionals, 53.5 percent said they had a positive outlook on EHRs, and 33.7 percent indicated they had a very positive stance. Approximately 10.9 percent had a neutral opinion, 2 percent expressed a negative opinion and 0 percent had a very negative outlook. These results are surprising, given that electronic health records are often considered something healthcare workers love to hate. Despite these favorable viewpoints, EHRs don’t seem to be cutting down on the amount of time professionals spend on health records. Among those who switched to using an EHR system, the average number of hours per week spent on health record work only decreased from 19.7 hours to 18.6 hours. Additionally, 81 percent of professionals said EHRs have increased general workplace productivity. The SelectHub survey included a wide range of healthcare participants, such as administrators, medical laboratory scientists and office receptionists. But it is interesting to note that a study out of the University of Wisconsin and the American Medical Association found that at least among primary care physicians, EHRs are time-consuming and only complicate matters. According to that study, EHR-related tasks take up nearly half of the average PCP’s workday. Among patients included in the SelectHub survey, 60.4 percent expressed a generally positive opinion of EHRs, and 19.7 percent had a very positive opinion. Additionally, 16.6 percent had a neutral stance, 3 percent had a negative opinion and 0.3 percent indicated a very negative opinion. “Perhaps the most surprising aspect of our research though was the reasoning behind patients’ support of EHR technologies,” Lewis said via email. Seventy-six percent of patients said they believe their doctor’s use of an EHR has either a positive or very positive impact on the healthcare they receive. “Furthermore, those who received thorough instructions on EHR use and access reported accessing their records more than twice as frequently, suggesting a potential need for more information resources for patients,” Lewis added.